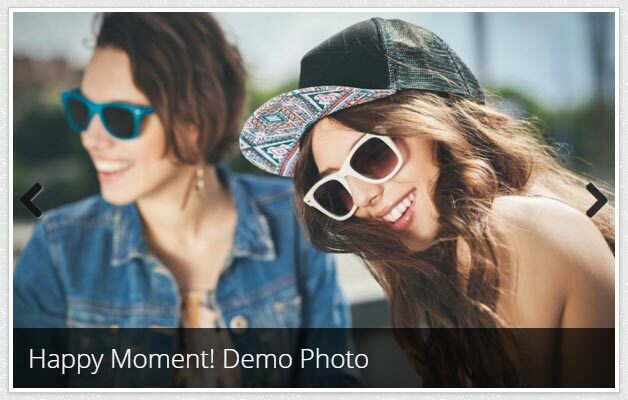 "Blogger Dynamic Slider" is a simple yet powerful automatic slider for blogger. The slider content generates from blog's feed dynamically, based upon users settings via jQuery Ajax Call. It is fully responsive. As it is a Dynamic Slider, the slider content updates whenever a new post comes (if it fits with user settings criteria). Well now this automatic recent post slider have a testing tool where you can enter your blog URL and see how Dynamically it generate a slider from your blog's feed. This tools have other basic options like Image Size, Max Item, Label (you can specify a label to generate slider from. Though it is optional). Check out the Live Testing Tool. The slider content generates from blogger blog's feed, dynamically by jQuery AJAX call, and then FlexSlider takes effect and take care of the sliding features. That it, nothing fancy but very useful for blogger users. Note: If you had already added jQuery .js into your blogs template then don't add it again as sometimes multiple jQuery ruins everything. Here jQuery script tag is located at the very first of this code block above. STEP - 6: Save & Done! Pretty Simple & Dynamic. You don't have to or can't add images manually in this slider, slider images will be generated automatically from post feed. Can each image in the slider have a different link? Like, if I wanted to use this on the top to direct people to my blog posts? You can use live testing tool to check that. How do I include the options of this slider? THanks for this. A life saver. Question though, the buttons at the bottom of the slideshow don't look the same on my blog as it does on your slideshow. How can I fix the appearance of those? Thank you so much for this post. I found it quite helpful during the restyling of my blog. Could you please tell me how to align this on the left hand side and on the right hand side the post along with its description? Nice tutorial, meaning I have to add a post for the picture first before I have the scripts running? How do I make the slider appear at the top of my page? Right now it's at the bottom. Hi there! Thanks a lot for using your knowledge to bless us. The live tool to see how it would look on my blog isn't working for me. I need to kow how to center the post title. Thanks for the tutorials. Very excellent! what am I doing wrong? thanks for the help, I"m a newbie! hello again. now its wormking. How i ad self target on script to open the pages in same window? Fantastic slider. My only issue is that it appears on all posts and pages. Is there a way I can stop it from appearing on pages, and only show up on posts? This works perfectly!!!!!! thank you so much!!!!!!!!!!!!!!! Your slider looks great. It is much more straightforward than my current slider widget. Unfortunately it didn't work with my template ... The slider kept drifting farther to the right with each post (this happened on both the fade or slide option). Centering and margins/borders did not help. I had no choice but to go back to my standard slider widget. Hi, How do we make it work with HTTPS blogspot website? I did put the end style code before head tag. But that also does not work. Can you please help? This is great! My only problem is the size. Some of my posts are vertical and some are horizontal. It's fitting the horizontal ones pretty well but it cuts off the vertical ones. How do I change the measurements? thanks a lot! one more question, how can i make posts that have more than one picture display as slider? Because what happens is that when my blog delays in loading on a browser it actually shows posts with multiple pictures as slider and that looks awesome. But normally posts with more than one image does not display picture at all because of the slider. Any help on this will be highly appreciated. the blog URL is www.talkactive.tv Thanks Genus! Hello again. I was able to make the slider work. The blog had to be made public for the /feeds/summary to be visible to the script. By the way, I am now figuring how to remove the 'dots' at the bottom. Blogger Dynamic Slider by Label / Recent Posts is so great and I love it! However, for every slide in the slider, I need to make new post, attach that image and tag with respective label. Is there anyway to add all images in one post and use one label only? How can I have order of slides to be random? hi! how can I make the links open on the same window and not launch a new one? Thanks! Perfect! It works, thanks a Lot. Thanks bro... its working fine... its really good... but Thumbnail image quality is very poor... how to get HD Quality Thumbnail ??? Is there a way to show the snippet text?